Pointing Up: Inspire. Imagine. Create. 2. the ability to transcend traditional ideas, rules, patterns, relationships, or the like, and to create meaningful new ideas, forms, methods, interpretation, etc. ; originality, progressiveness, or imagination. 3. the process by which one utilizes creative ability. 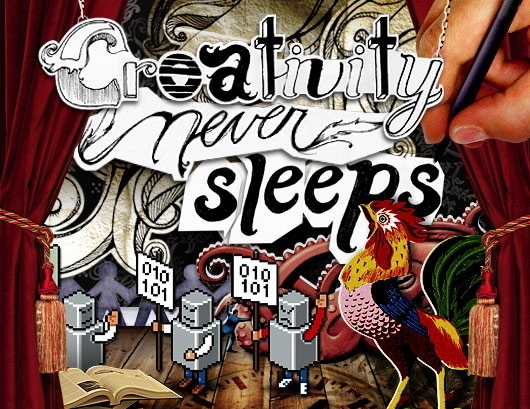 Whether we think we are especially creative individuals or not, the truth is we all create. We all have a method of interpretation and we all have an imagination. We were created that way! However, our creativity is influenced in many ways. We get inspiration for ideas. I have read many blog interviews and one very common question is, "Where do you get your inspiration?" To which the response more times than not is, "Everywhere!" I can say that would be my response as well. We are influenced by everything, just somethings we don't allow to have a hold on us while others we relate to, we connect to, and they become a filter that we think through. Therefore, you can see hints of that influence in things we create. Today I am going to share with you some of the things that have become some of my inspiration for creativity and some that may be yours as well. As you may have noticed, the blog has gotten quite the little makeover. I never really liked my old layout, but I simply did not have the extra time to invest in working on something I liked better. But I finally just did it. I sacrificed much sleep to get it done too, ooops. When I was trying to figure out what I liked about my blog and what I did not like I thought about other blogs I liked to not just read, but look at. I wanted my blog to be one that was appealing to the eye. I know that blogs that are easy to read and navigate AND that catch my eye and keep my attention are the blogs that I visit regularly. The number one blog that I looked to for inspiration was After Nine to Five. I really don't know what it is about Ashley's blog, but I love visiting it. I can relate to Ashley's blogging style and I definitely would say that she has become one of my many blogging inspirations. Yes she has great content 100% of the time, but her blog is very professional, clean, yet has great stylistic features that catch your eye and represent Ashley and her personality. Now I don't think that you can obviously tell that I styled my new blog after Ashley, because I don't claim to have done that. But most likely you can see the correlation between the two now that you know she was one of my main sources of inspiration. In the same way you can see pieces of the source for all of our creativity. Are your influences obvious in the things you create? i like the new design! now i can see your face! I love the new design! And I love Ashley's blog. I can definitely see the inspiration. My number 1 source of inspiration is blogs. There are just so many creative people out there!